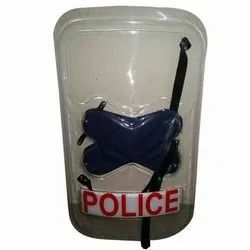 Prominent & Leading Manufacturer from New Delhi, we offer metal detector, search lights, door frame metal detector, under vehicle search mirror and polycarbonate shield. We deal in the manufacture and trade of an array of safety products, which comprises, metal detectors. These highly efficient metal detectors can pinpoint every metal, right from large metal objects to as small as coins or thumb-pins. 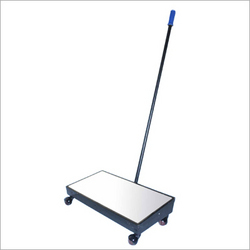 Light in weight and easy to operate, these metal detectors being offered by us are widely used in malls, offices, major events and many more such places. 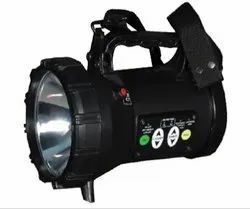 We are offering to our clients a premium quality Search Lights that are designed with utmost precision to provide complete safety and vigilance. Our light can provide much brighter light than the usual one. These search lights are ideal for their use at Construction Sites, Industrial Establishments and various other sectors. Besides this, these search lights are also used by security agencies, police and army. 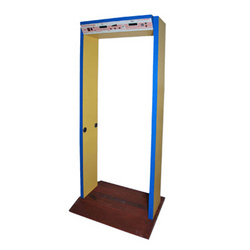 We are one of the leading manufacturers and suppliers of door frame metal detector which is capable of instantly tracing out the trafficking of illegal metallic objects and arms. These detectors are designed so well, where people passing through the door never face any inconvenience. The installation of the metal detectors is very easy and these are detachable. We manufacture efficient under vehicle search mirror which finds wide usage in security applications. These under vehicle search mirror are designed using high grade raw material sourced from quality centric vendors. Our range of search mirrors is light weight with adjustable handles.